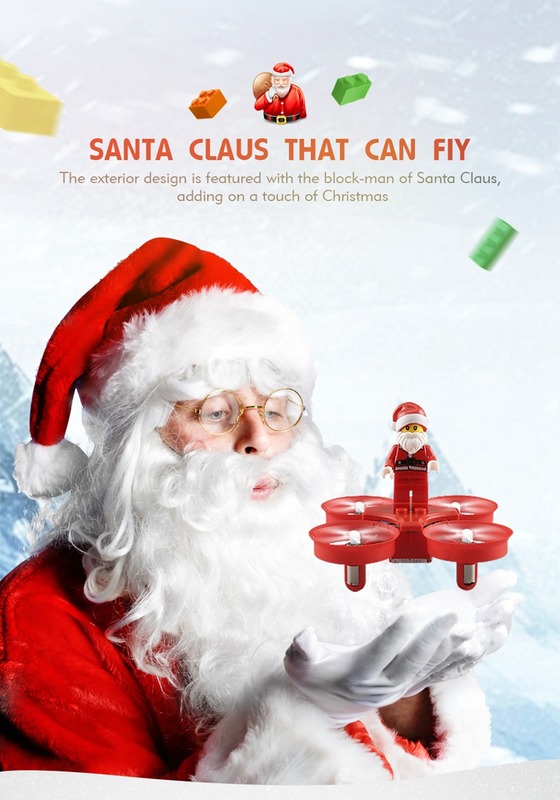 Santa Claus climbs the balcony, stops to adjust his black leather gloves. 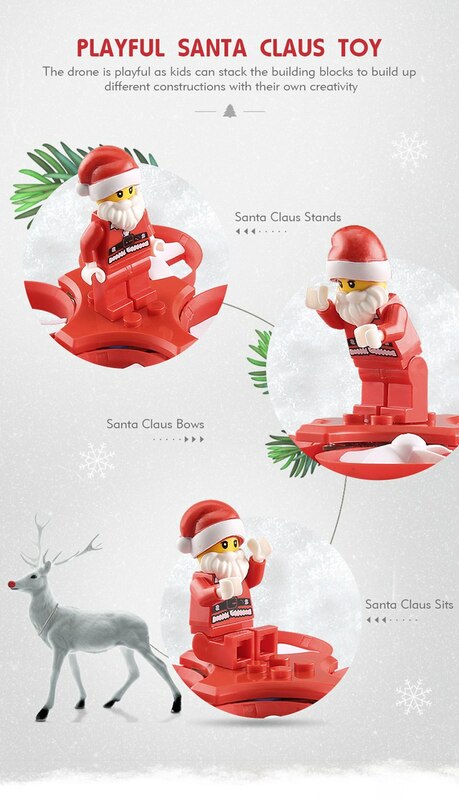 Then he grabs the rope… No no no. 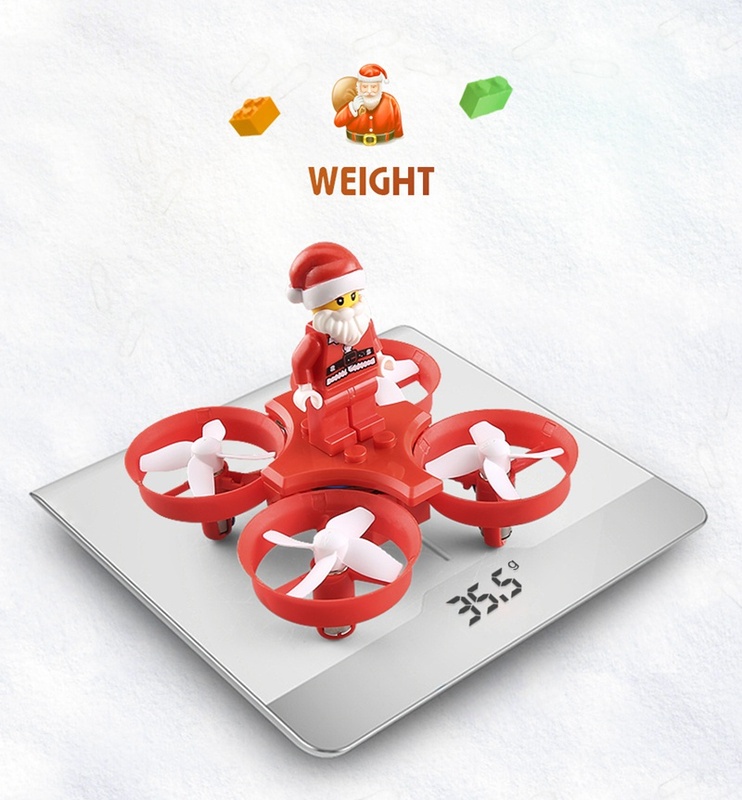 Our Santa Claus does FLY. 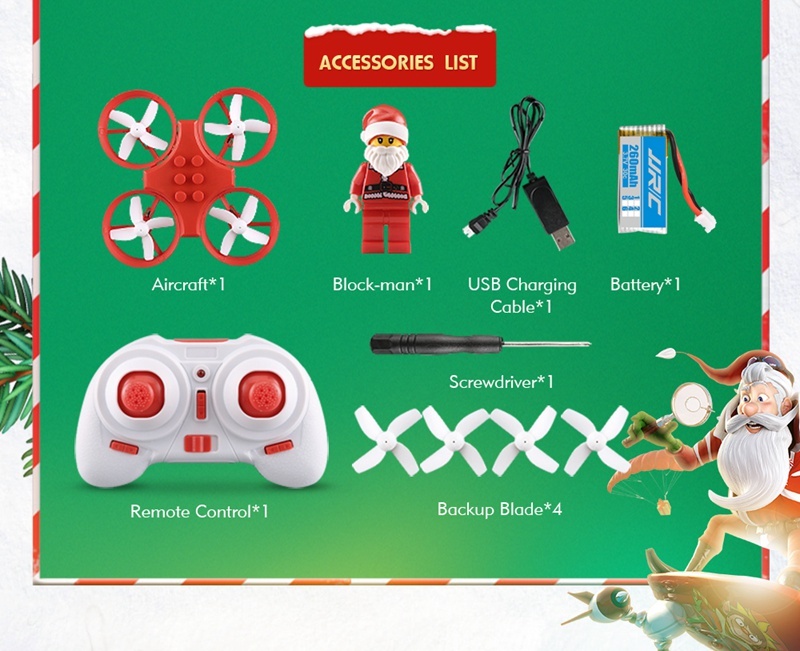 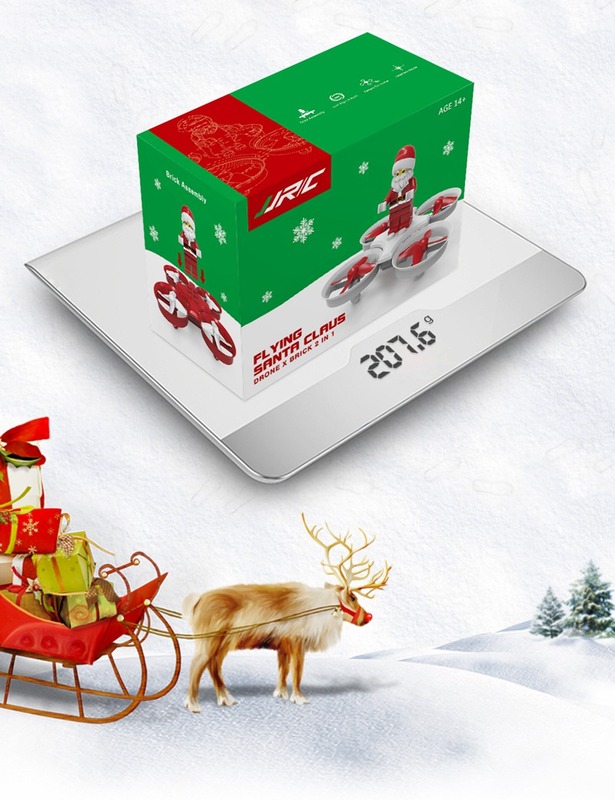 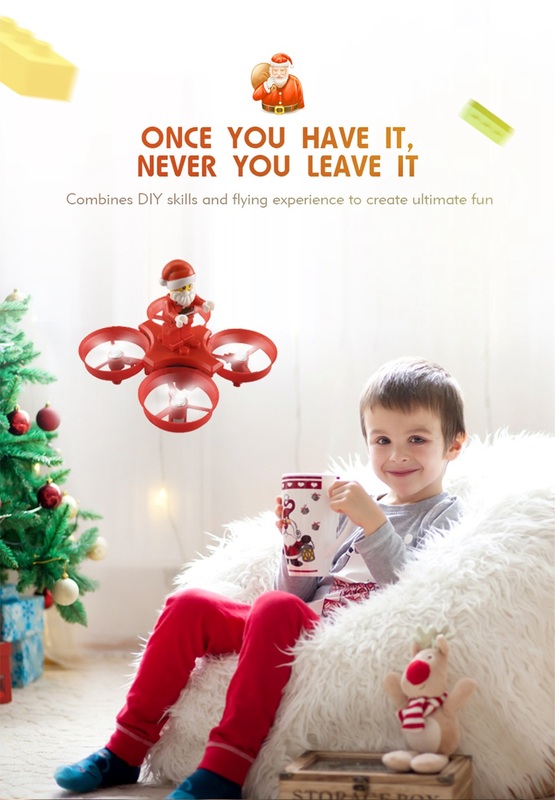 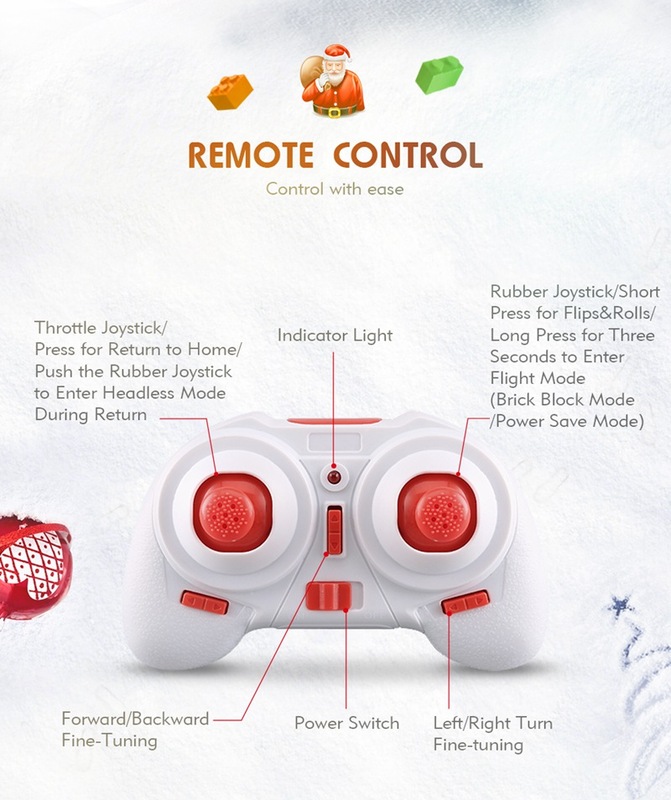 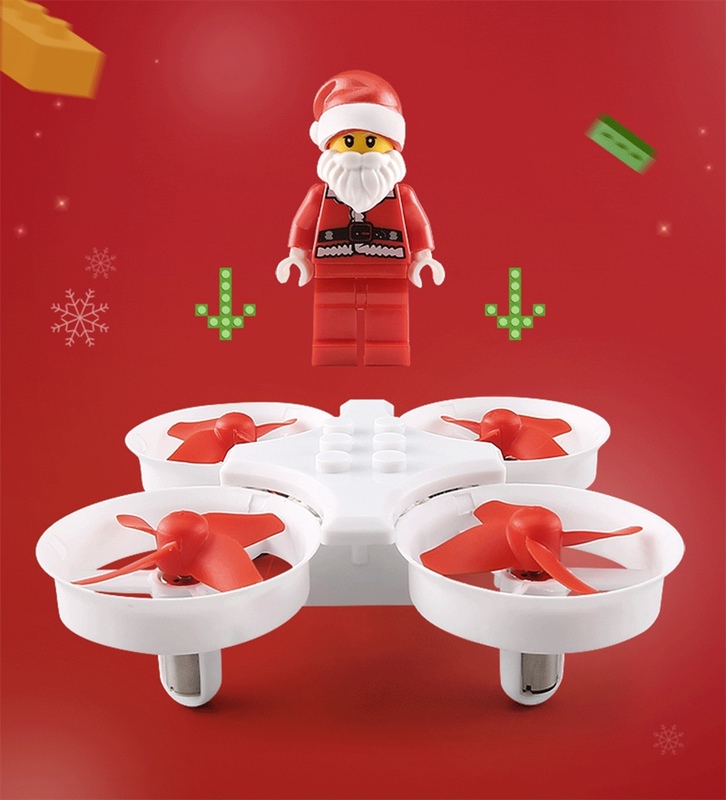 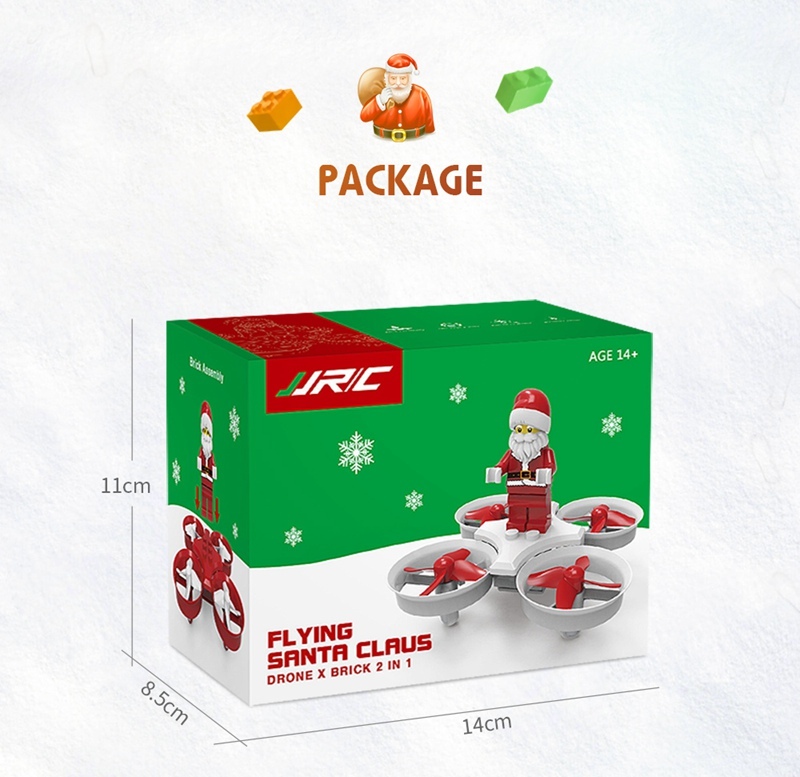 Whole family will love this and will have an amazing memorable time with this tiny drone gadget. 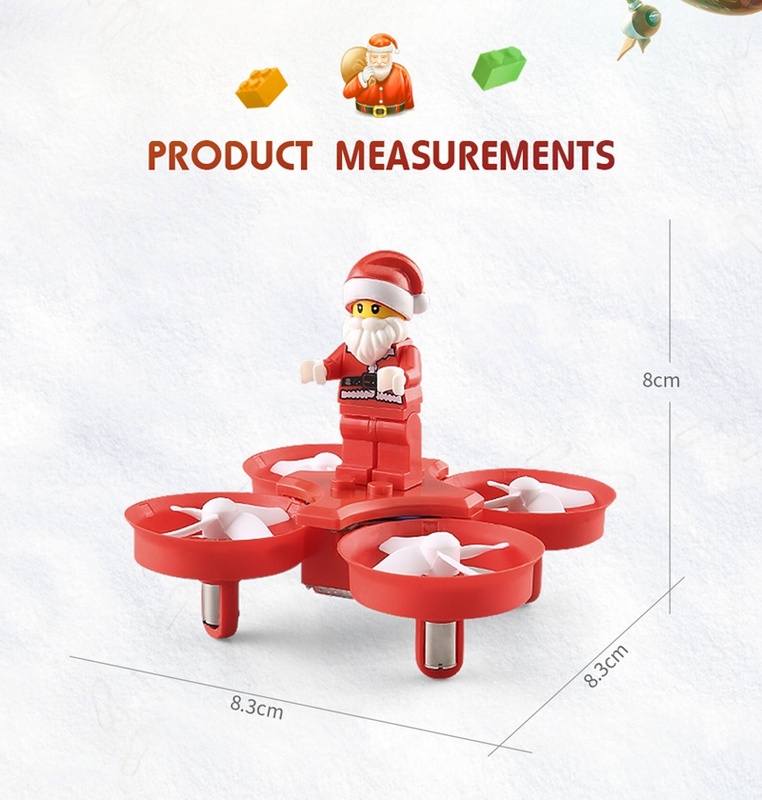 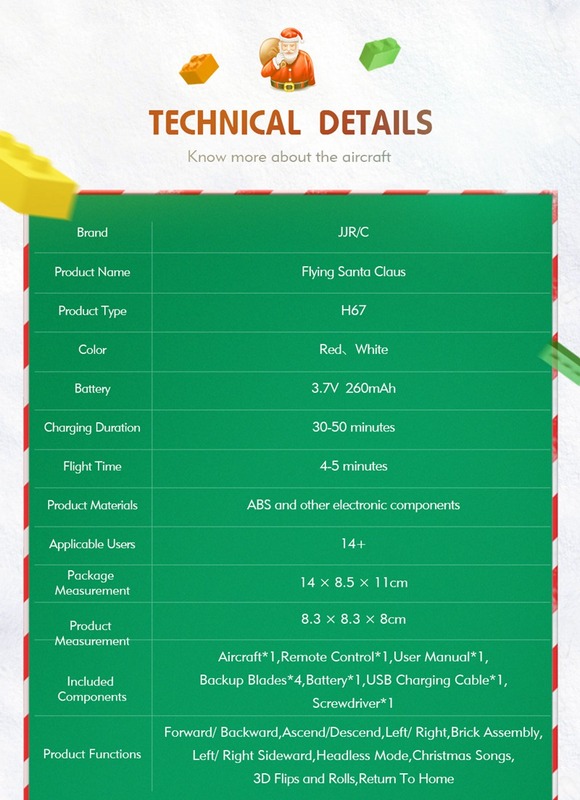 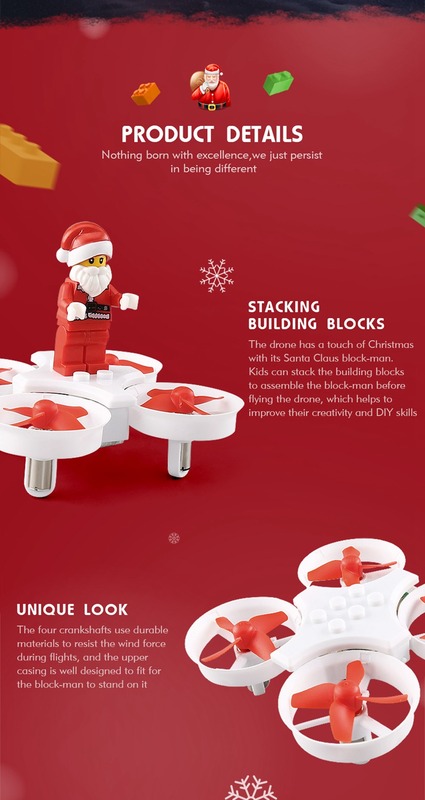 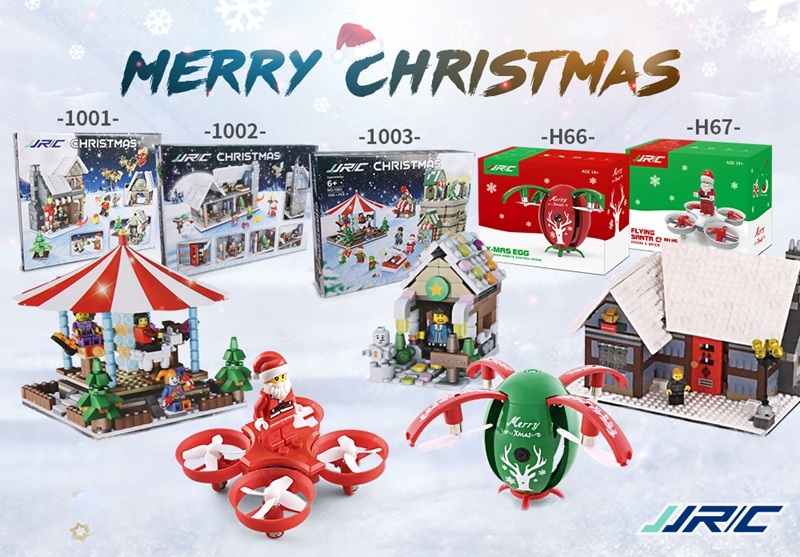 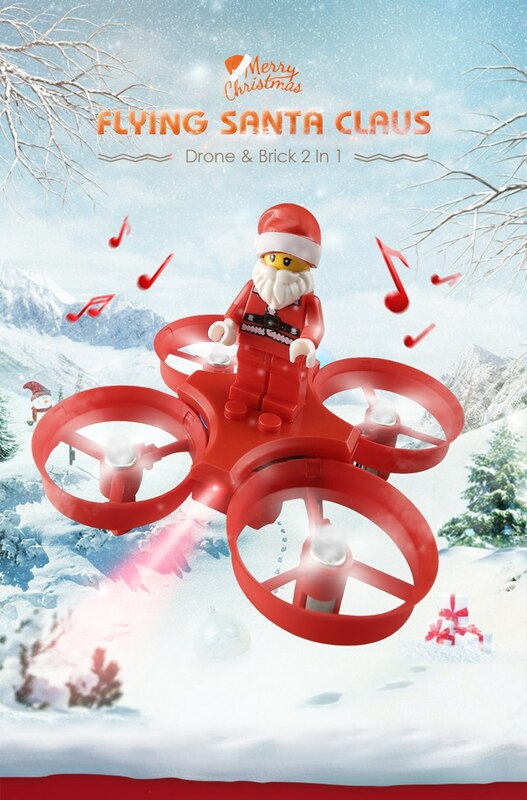 With Santa Claus brick element, can foster child’s DIY ability and make more fun. 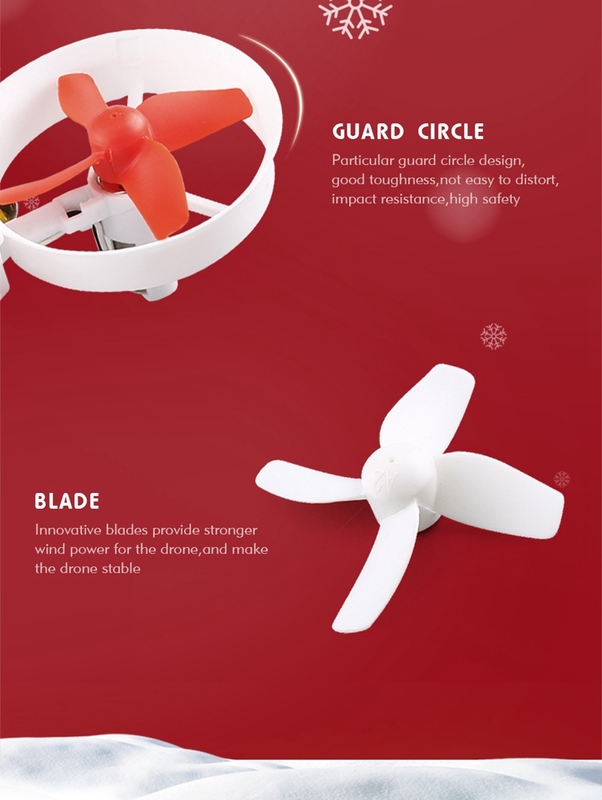 With 60000RPM double ring high-intensity 716 motor provide strong power. 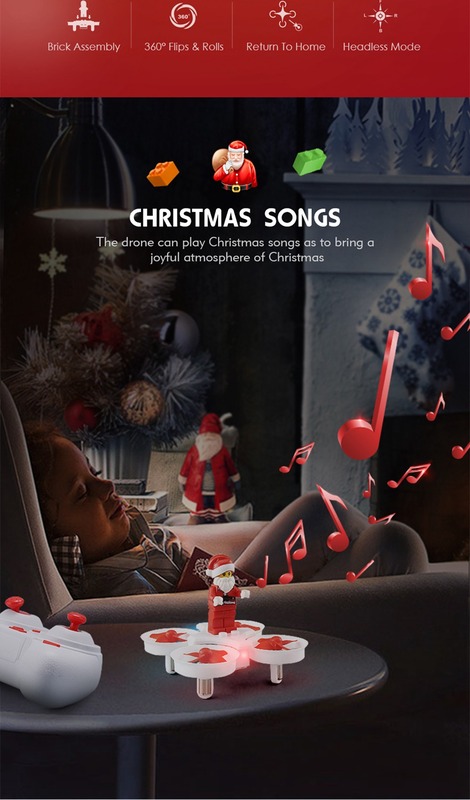 With Christmas songs to bring a joyful atmospher of Christmas. 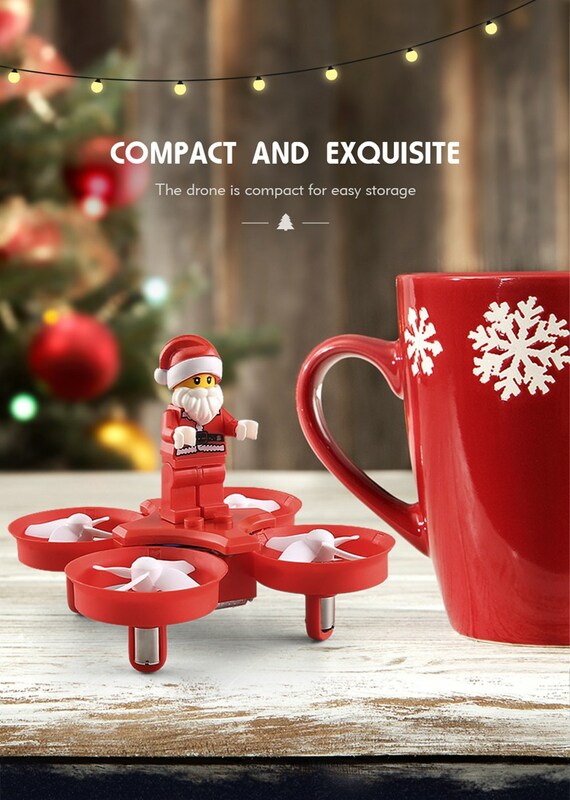 MINI size, can carry it in the Pocket-. 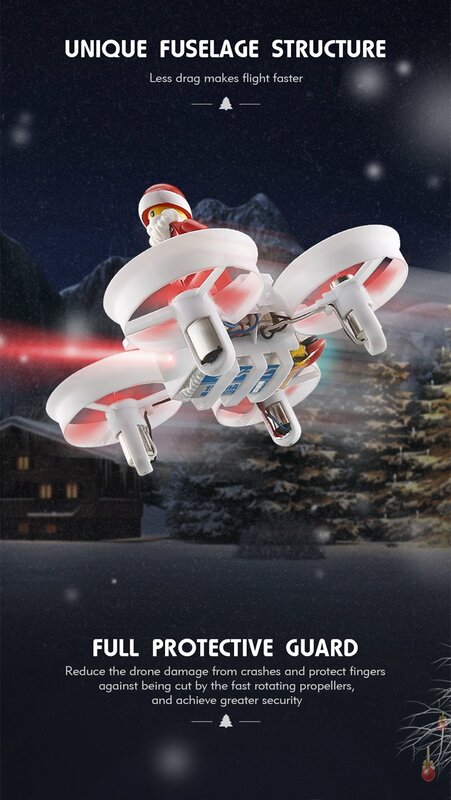 With bright colorful LED light, make it more dazzle beautiful and colorful night light.